Play, creativity, and empathy fuel this innovative product startup. Uncharted Play started as a class project for two Harvard undergrads charged with combining art and science to solve a social problem. 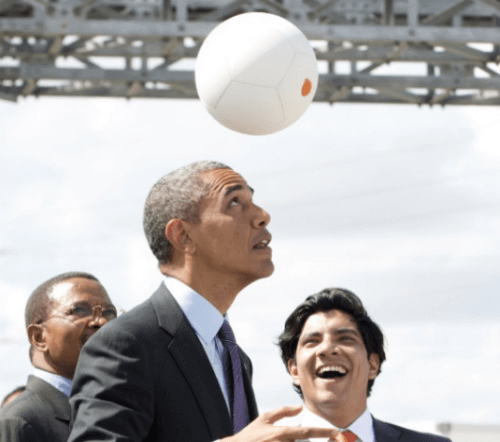 The co-founders, Jessica Matthews and Julia Silverman, created Soccket, a soccer ball with a portable generator inside that generates three hours of light from 30 minutes of play. Fast-forward to the present. Uncharted Play is building a business with its now seven-member company drawing attention for its groundbreaking work supporting resource-poor communities. In February, FastCompany designated it as one of the most innovative companies in sports. 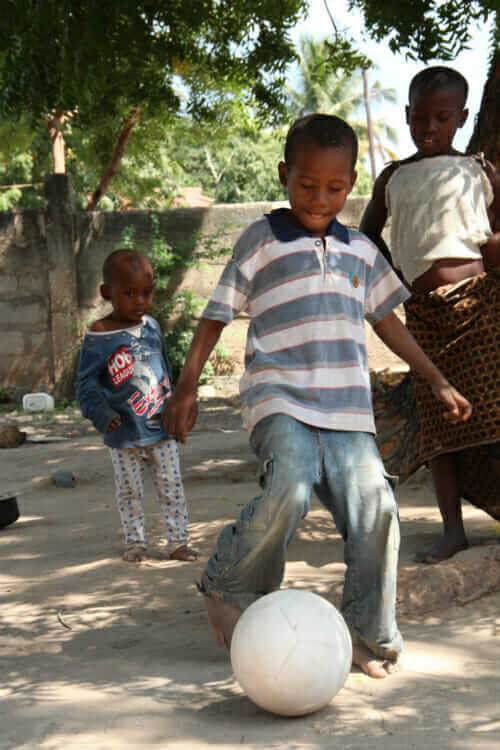 Soccket has been tested in communities in Mexico, Nigeria, Haiti, and others. 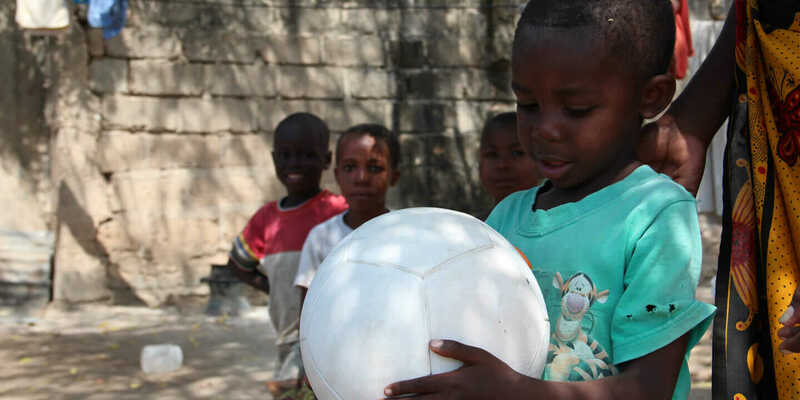 In addition to promoting play, the ball provides a safe alternative to candles and kerosene lamps for doing schoolwork. And many mothers use the balls as light for cooking or to make crafts sold for extra income. Victor Angel, vice president of Product Development at Uncharted Play, joined the company “on day 2” in 2011. Fueled with a grant from Harvard to fund development, the team approached design firms with the concept—and it fell on deaf ears. Angel says that rejection—which he attributes to professional firms lacking the same empathy for the end user, the child in the resource-poor area—“was a turning point in our company.” He believes his childhood in Mexico and Matthews’ Nigerian parentage connected them to the end user in an especially deep way and made Soccket more than just a lighted ball. Out of grant money, the company bootstrapped next steps, which included forming a product-development team and continuing to prototype. While early efforts were often crude, the one tool that allowed them to compete with large firms was access to Autodesk Inventor software. “[Inventor] allowed us to do what people in much better-funded companies were doing,” Angel says. While the concept resonated wildly with a diverse population of supporters (from Bill Clinton to Ashton Kutcher), great press didn’t eliminate the challenges young businesses face, including cash flow, sourcing, prototyping, manufacturing, scale, and distribution. Angel noted that while he could find endless resources discussing product development on a large scale, finding advice tailored to getting started was impossible. He wanted answers to questions faced by all product companies scaling up for the first time: How do you find the best vendor, what agreements are required, and what do you do when you receive 10,000 faulty parts from China? “These are things we’ve had to learn ourselves,” Angel says. With respect to fundraising, Angel notes that typical VC investors “are used to seeing presentations of apps that can be quickly scaled, and ROI is very quick and customer-acquisition costs are very low, and now you are presenting a model that is extremely capital-intensive, with long lead times and lots of uncertainty.” One way the company reduced risk is in its business model. The bulk of current sales are to large multinationals with Corporate Social Responsibility (CSR) programs. 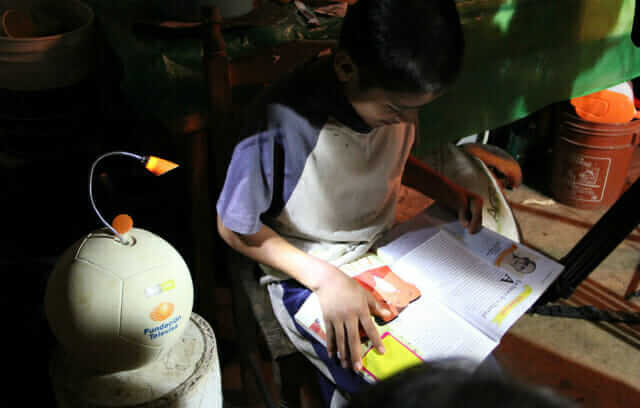 Clients—including Shell, Fundación Televisa, and Western Union—are motivated by the ability to leverage their CSR dollars into markets that could benefit from the combination of play, innovation, and sustainability. Uncharted Play leverages these high-volume orders to hit adequate manufacturing scale and upfront payments that reduce inventory and cash-flow risk. “There’s no way we could have had the variable volumes at our scale. Having a client commit to a large order helped us,” Angel says. Staying out of the retail fray and the vagaries of consumer buying cycles also gave Uncharted Play room to perfect the Soccket from a design standpoint. The company learned a lot from its Kickstarter project last March and has made improvements since. 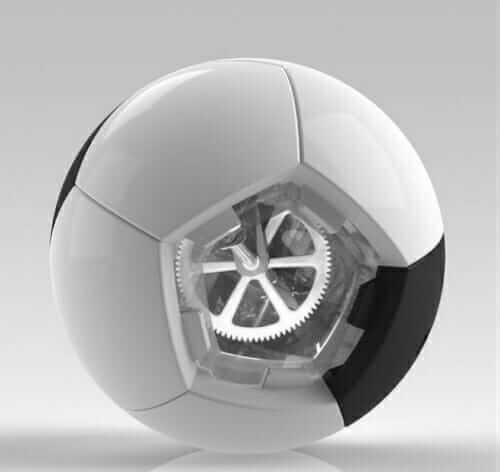 Angel notes that while the internal mechanism that generates light took just a few months to develop, the exterior for the ball has taken two years, primarily because inexpensive prototyping tools for flexible materials like foam and rubber have not caught up to 3D printing development tools for plastics. But the company’s culture of bootstrapping, leveraging resources, and thriving on creativity continues to spark innovation internally, even though resources aren’t quite as tight as they were in the early days. For further reading, check out how Kickstarter also helped Oru Kayak build a business.